This is a common question people ask once they see larger medium and High Power (HP) rockets. 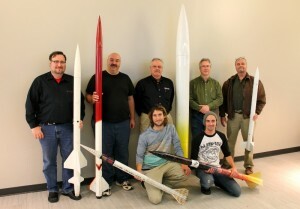 There’s a lot of information to take in when first getting into HP rocketry. 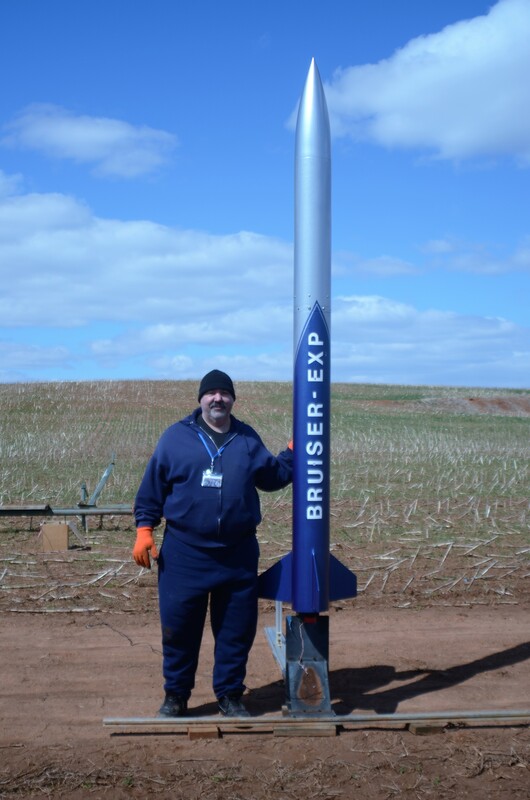 This FAQ-blog piece will step you through several of the key concepts of HP rocketry, provide logical steps for dipping your toe into medium and HP, and even help you in getting certified (if you so desire). “The lines between “low power,” “mid power,” and “high power” are drawn by the size of motor you use. Low power is defined as D-class motors and lower, and mid power is generally defined as E, F or G motors. 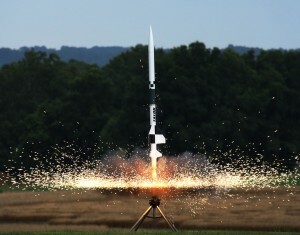 Low and mid power rocketry tend to blur together and don’t require any specific age or ability to fly. To fly HP rockets and commercially buy most H and larger HP motors, you need to first join one of these high power organizations. NRV Rocketry is a subsidiary of the TRA organization, (we are Prefecture #143 in the US). 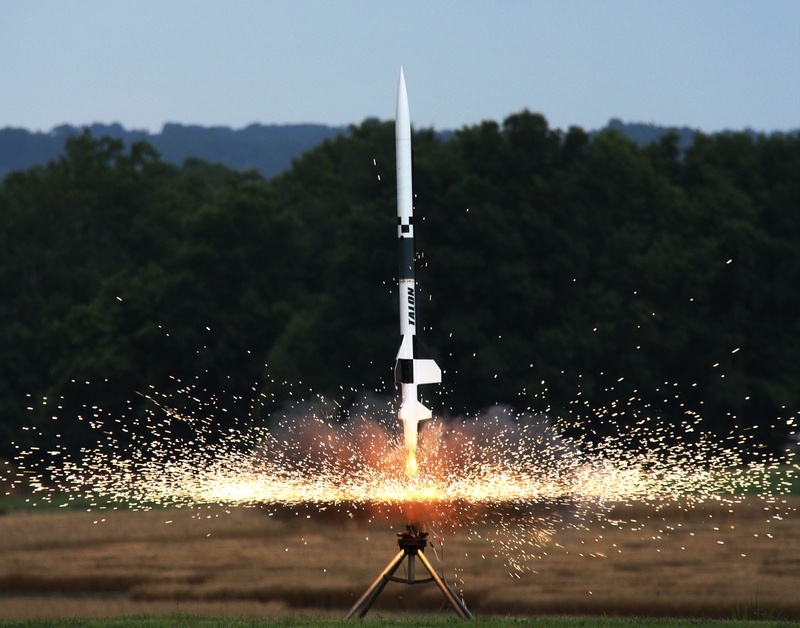 While many of our more experienced club members like to design and build HP rockets from scratch, we recommend starting off with an easy going rocket kit. A lot of thought and expertise goes into the designs of these kits, and by starting off with a kit, a free benefit is getting to glean decades of “design wisdom” and pick up great construction techniques in the clear, detailed directions. For a first time high power rocket, our club recommends getting a multi-purpose rocket design that can fly on both Medium Power motors (F-G size) as well as High Power motors (H and higher). NOTE: More information on motor sizes and how they related to thrust and total-impulse is here. 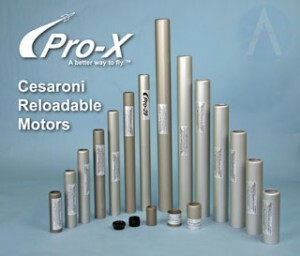 Regarding motor casing sizes, you can go smaller than 38mm (diameter) when doing medium/high power rockets, however if you want the most bang for your buck and not have to buy new reload casings as you move from medium to high power (up through L1 and L2 certifications), then many consider 38mm as the best deal covering the widest ranges of rocket & impulse (thrust power) combinations. MOTOR SIZE INFO: Old estes A-C motors are 18mm, D-E are 24mm, 29mm is the first size that traditionally begins to reach into into HP (H impulse motors)). However, 38mm can take you from G impulse levels, up into H (L1) all the way thru J (L2) motor impulse levels. With just a couple of key 38mm motor casing lengths (combined with a few spacers), you can use the same motor casings (and rockets) to fly from G, H-I (HP L1) and J (HP L2) motor impulses! As you get more into HP rocketry, one does not have to spend a lot of money, but the costs can soar almost as high as your rockets! For example, your first HP rocket will run around $80-120. Your first motor casing $30-40. Your first motor reload $25-30. Specialized HAZMAT and other relation shipping $30-50. Various tools, adhesives and extras, $150. TRA/Club annual membership dues, $80-90, etc. And let’s not even talk about any lost or crashed rockets. <ouch!> The good news is though we can help out. Help not only save you some money, but a lot of frustration and hard knocks as you explore the hobby. We’re here to help. One of the benefits of joining NRVR is that you get added to our nrvr-members email list and can begin asking HP design questions, legal and safety questions, or even show our folks what you’re working on and ask real aerospace experts about the best building techniques or where to get certain hard to find supplies. 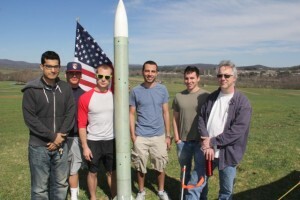 You’ll have access to all the group’s and VT Aerospace’s decades of experience in rocketry.. and invaluable resource. 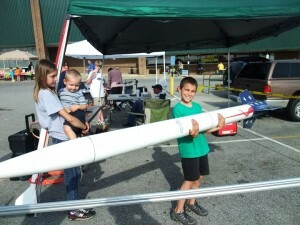 This is a much larger topic for another FAQ blog post, but in a nut shell, start off by checking out some of the tutorial HowToGuides on ApogeeRockets.com, or if you want a short run down that contrasts some of the differences between building the model rockets of your youth, and the modern high power rockets we’re all getting in to now days, then here’s a mail list piece we wrote a few years ago that touches on the big differences . 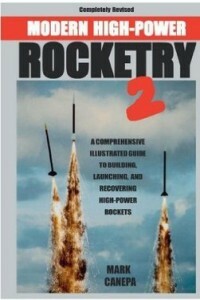 We also strongly recommend browsing through the wealth of knowledge in Tim Van Milligan’s Rocketry HOWTO video series.. a very useful library of info. Lastly, NRV Rocketry is here to help you. Check out our calendar to see when our next launch or meeting is or come hang out with us! Even if you’re not a member and have some questions about the hobby, please either flag us on our public mail list here, join our facebook group or email the officers directly at officers(at)nrvr.org..
We’re here to help you get off the ground!